Many people learned this week that flood plains flood. They might have learned this in school, except that their teachers were too busy teaching them about the dangers of CO2. And yet Labor is going to stick by THEIR Carbon Tax and try and deny PM Abbott’s mandate to axe it. 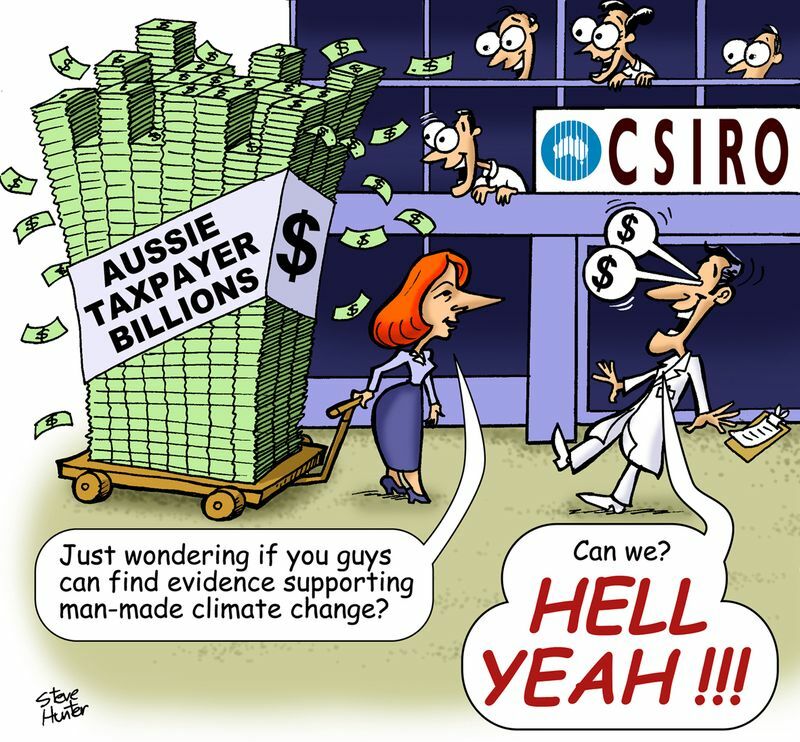 Labor, like their ecotard junior partners – the Greens, only support the AGW nonsense as cover to support their crooked ideology to extend the powers of government; to raise taxes; to weaken the capitalist system; to curtail personal freedom; to redistribute income and to bring ever-closer the advent of an eco-fascist New World Order. That’s the upshot of a new study in the journal Nature Climate Change that compared 117 climate predictions made in the 1990’s to the actual amount of warming. Out of 117 predictions, the study’s author told FoxNews.com, three were roughly accurate and 114 overestimated the amount of warming. On average, the predictions forecasted two times more global warming than actually occurred. “The Earth system is just too complex to be represented in current climate models. I don’t think they’ll get it right for a long time” said climate scientist John Christy, a professor at the University of Alabama in Huntsville. 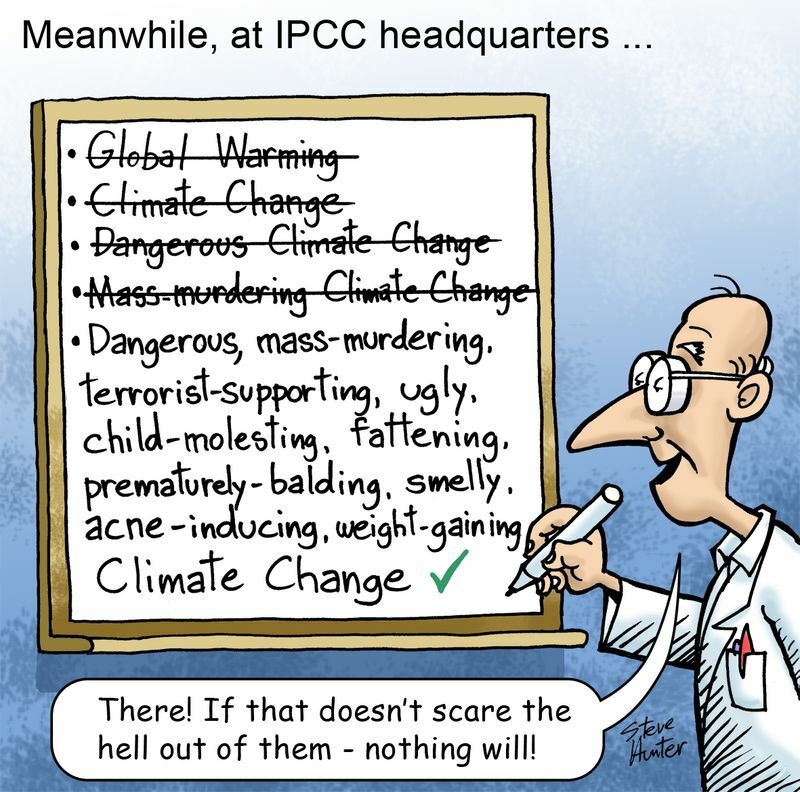 …the leaked report makes the extraordinary concession that the world has been warming at only just over half the rate claimed by the IPCC in its last assessment, published in 2007. Anyone who has been following this blog knows I have been saying since day one that AGW is nothing but a concocted imaginary scare, designed by the political elite who are in bed with crony capitalists as a means to essentially steal your money.